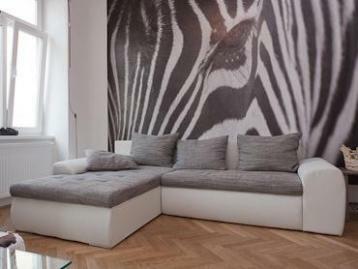 This apartment can really bring out your animal instinct. The zebra print in the living room, and the fish on the wall in the bedroom will really bring a smile to your face. Fun wallpaper aside, this apartment is a great place for relaxing. It’s modern, spacious and comfy. And it’s easy to get into the city centre from here. So prepare to explore.